Discuss the student's real estate portfolio, helping with strategic decisions like sell or keep, exit strategies, tax ramifications, etc. This final session is on budgeting; must vs. discretionary expenses; help student to determine, "how much income do I need to be financially independent and how/when can i get there?" 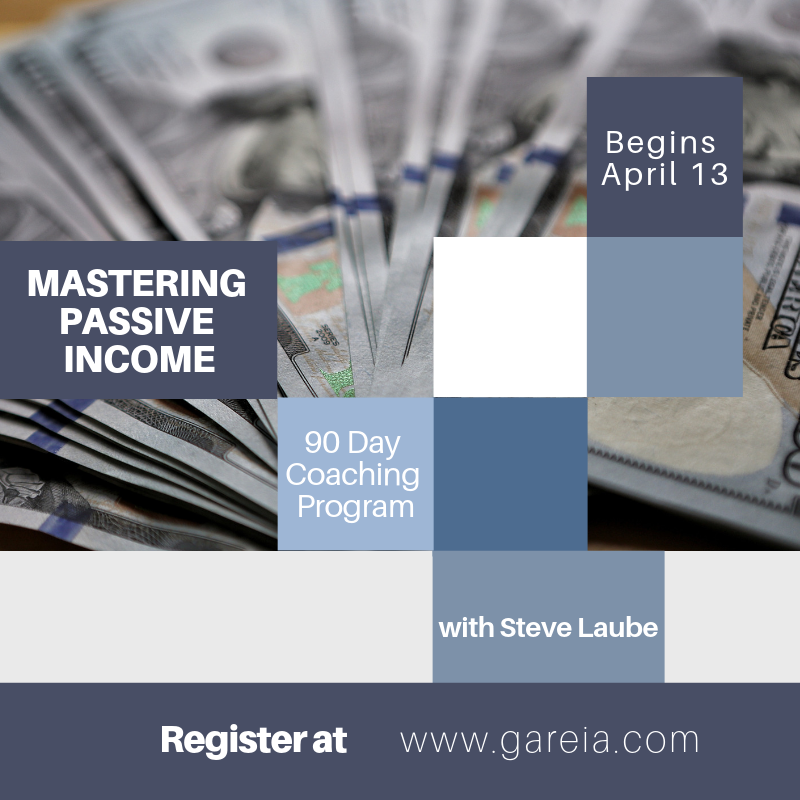 The Mastering Passive Income coaching program is one of the highest rated educational programs offered at GaREIA. About 120 students have participated in this program and ALL have stated it was helpful in their real estate career, and ALL have said they would recommend it to others! See below for 'what people are saying about this program'! How much income do I need to replace my day job? What do I need to do / when to get that much money from my rentals, SS, Ira’s, and maybe a pension? What is Monte Carlo simulation and how can I use that? How much can I withdraw every year from my IRA’s to live off of? What is the best technique to withdraw? When should we take Social Security? Can I use rule 72T to withdraw from my IRA’s? What is wrong with the “4-5%” withdrawal rule, and how can I use that knowledge to safely withdraw more? How much RE do I need to buy? How do I know when to sell my real estate? Which ones should I sell? What is NOI, cap rate, PCF, and how can I use them to determine a real estate strategy? What are the three ways to make money in RE? Pros and cons of each? How variable will my rental income be, and how much reserve fund do I need because of that? What CAP rate is best? Pros and cons of a property manager? Why, when and how should I pay off my mortgages? Can I use financial engineering to achieve financial independence much sooner? Can I avoid paying capital gains? Why doesn’t the “rule of 72” work for real estate? Which exit strategies should I use? How can I stop losing money in the stock market? What can I expect to make long term? What are the pros and cons of real estate and stocks? What is the difference between a mutual fund and an ETF? What is a leveraged ETF? What should my asset allocation be? Why? How / when do I rebalance? Dividends or home grown dividends? Why doesn’t “110- your age” work? Class 1 - "Investment and Income Tax Basics"
Class 2 - "Social Security, Pensions, Annuities, Budgeting and Preliminary Passive Income Spreadsheet Work"
Social Security: how to qualify, how it is calculated, when to take it, spousal SS, file and suspend, etc. Defined benefit pension plans; cash settlement or annuity? Start 20 plus year passive income spreadsheet of income and expenses, assumptions, illustrations etc. Progress with Calculations, Taxes, etc. Progress with Budgeting and Passive Income Spreadsheet, etc. Class 4 - "Stock Market, Tax Deferred Accounts, and Withdrawals from TDA’s"
how to monitor withdrawals so you wont run out of money, ever. Setting up a stock portfolio, etc. Class 6 - "The Real Estate Income Pillar, Wrap Up of Your Budget and Spreadsheet, and All Other Topics"
review of B+H strategy and taxes, exit strategies, etc. Thanks again for meeting with me yesterday for lunch and for putting this class together. Please feel free to use any of my comments in any way you wish. This has been the most informative class that I’ve ever attended. I don’t think I’ve ever been to a class (investment or otherwise) where I’ve been so outspoken about the benefits. The course title says it all. Mastering Passive Income … The Key to Quitting Your Day Job. As investors we are all looking for financial freedom and it’s important to understand that this is not just a real estate investing course . Steve discusses the four pillars of investing with details of the basics as well as trade-offs and strategy and how to apply the concepts in the real world. But if you are a real estate investor or want to be, you’ll get a wealth of information on RE investing, including topics I haven’t seen presented before. You’ll learn concepts such as N, walk away cash, and when it’s time to ring the cash register, just to name a few. You’ll learn the trade-offs of flipping vs buy and hold in great detail. You’ll learn the metrics that really matter when you analyze your real estate investments. Your homework will include “financial engineering” exercises using real world scenarios including real time events (even his own). Steve applied all these concepts in his own life and retired early. If you are interested in quitting your day job or already have, you’ll get his thoughts on the ups and downs of retirement. Really? Can there be downs? You’ll hear his views on retirement, quality of life, and timeline including the “go-go years” and beyond. This really opened my eyes. As we all know, investing is a very personal thing, meaning each person will have their own needs, goals, lifestyle, etc. The thing that impresses me about Steve’s style is that he doesn’t say that his way is the only way, but you hear him say many times “IMO (In My Opinion), this is why my way makes sense”. I guarantee as a minimum that you’ll walk away learning new things about passive income investing. If your experience is like mine, you’ll change the way you think about investing at a very high level. In my opinion, this class is the first class a new investor should attend. In my case I’ve been investing in real estate since 2000 and in a more focused way since 2010. My wife and I now have 20 rental properties. We have always talked about the desire to quit the day job, but in early 2014 my day job quit me with a layoff. This class came at the perfect time for me to better understand our situation and map out our future. Since I attended this class, I’ve found that I’ve changed my opinion and views in several areas of investments and also found that the questions that concerned me weren’t really the questions I should be focusing on first. I’m now asking much higher level questions that are more focused on quality of life and then how passive income investing will help us meet those goals. As many people have shared before me, Steve's Passive Income course is good. It is and everyone should take it. But that is not what I''m writing. There is only one reason to take this course and that is Steve Laube. Steve is an educator and a mentor. Any good content is great to know. But only an educator can make it great. I have a little story here. A few months ago, when I first joined GaREIA, I was looking to talk to more and more people to learn more and guide myself in the correct direction. During this I met some great people. And one day Wynne introduced me to Steve saying "Steve, this is Uday. Looks like he has some questions on townhomes". The next 20 minutes were the best learning I got. Steve shared a lot of information, gave me a step by step approach. I showed him my research and calculations I had on different townhomes. Once he noticed that I was really interested, he took more interest and answered more of my questions and re-summarized the points we discussed and wrote them on the back of a napkin, so I would not forget. Every time he teaches us some concepts, he follows up, inquires the status and answers any questions we have. Where necessary he repeats the topics several times to be sure that everyone in the class understands them. He is committed to helping us. In the last few weeks, I have spammed Steve''s inbox with many, many emails with questions comments and thoughts. He would respond to each and every one of them with his feedback to channel my approach towards the correct direction. He is committed to my well being. (Like any great educator and mentor.) He is available, it is up to the student to take as much advantage of his expertise. For me to be where I am in my career, I owe it to a couple of educators that showed me the "fun in learning" and showed me "how to teach myself". As I start my journey on real estate path, so far, Steve has given me similar motivation and a clear path. I hope to succeed in this and at some point ''pay it forward''. One thing is for sure, I will remember Steve Laube for the rest of my life. Steve Laube started life as a nerdy scientist with a BS in chemistry, obtaining several patents, writing a chapter in a chemistry book, and becoming the North American Technical Director of a 2 billion dollar chemical company. He received an MBA in finance from Case University in 1983, and, just before he retired in 2002, rather than consulting with a Certified Financial Planner, he took the CFP program at Oglethorper University and passed the national CFP boards (bar exam equivalent) in 2001, the hardest thing he has ever done academically. 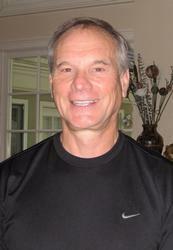 Steve's real estate investing started in 1979, with a brand new duplex in Kent, Ohio. This duplex opened his eyes to the world of student housing (by accident, who knew Kent State university was less than a mile away?). Steve quickly acquired two brick four family buildings and a single family home at Akron University, then moved to New England a couple of years later with his “day job” and put his real estate interest on hold, selling the Akron properties for large profits. The profits from the two quads paid for three college educations for his kids. Shortly after arriving in Georgia in 1992, Steve initially acquired about 2 dozen student condos in Clemson, SC as well as twelve non-student condos in Alpharetta, GA. In 1997 he authored “Dormitory Dollars,” the first book ever written on how to invest in the student housing market. Including flips, Steve has held about 80 rental properties over his career, with 40-50 being the most he has held at one time. The Move to "Passive Income"
Steve was able to “quit his day job” and just plain retire in 2002. He emphasizes... "my pension was $479/month, I did not have an annuity of any kind, and I was too young to take Social Security by seven years! I learned how to blend stock and RE income to live a very nice lifestyle." After retiring, rather than getting seriously into real estate, the numbers told him to “cash out” in 2004/5, and he sold dozens of paid or near paid for condos and got very lazy. He continues to sell when the numbers tell him to, and sold his last two student condos in 2017, and one of his three beach houses in 2018. His portfolio now is down to 5 condos, and two 4 bedroom oceanfront homes. The beach properties are held in a partnership with his daughter, Lynne. After about a decade of golfing, traveling, and enjoying his car obsession, Steve came back to GaREIA, driven by “boredom” and a desire to give back. He has served on the GaREIA Board of Directors as Secretary and Treasurer. He currently is a co-leader of the Dealmakers Subgroup, an instructor in the GaREIA Fast Start and Buy & Hold Boot Camps, as well as the Coach for GaREIA's Mastering Passive Income Coaching Program. Steve's current interests are private money lending and retirement planning. Save $$$ with Early Registration through April 7!